ONTRAPORT Founder and CEO Landon Ray and President Lena Requist will both be giving keynote talks at ONTRApalooza 2017. 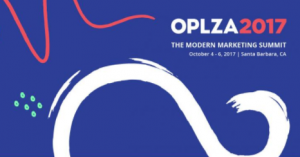 ONTRApalooza, a three day modern marketing summit, will take place Oct. 4-6 at the Fess Parker in Santa Barbara, California. Industry leaders in marketing and entrepreneurship to give keynote talks at ONTRApalooza, Oct. 4-6 in Santa Barbara, California. SANTA BARBARA, CALIFORNIA (CA), USA, August 15, 2017 /EINPresswire.com/ -- SANTA BARBARA, California, Aug. 15, 2017 — ONTRAPORT, a leading marketing automation software for small businesses and entrepreneurs, today announced keynote speakers for its annual marketing summit, ONTRApalooza. Named by Inc. as “a top entrepreneur conference to check out in 2017,” the three-day event aims to leave attendees with actionable tips and strategies to scale their businesses. Rand Fishkin: The self-proclaimed Wizard of Moz, Rand Fishkin is founder and former CEO of SEO software Moz, host of Whiteboard Friday, co-author of two books on SEO, co-founder of Inbound.org, and board member for the presentation software firm Haiku Deck. Hilary Rushford: Founder of the personal styling business, Dean Street Society, Hilary Rushford draws on her experience generating a loyal social following to advise others on how to build their own blogs, businesses, and brands. John Jantsch: John Jantsch is a marketing consultant, speaker, and bestselling author of numerous books, including Duct Tape Marketing. He created the Duct Tape Marketing System which trains and licenses marketing consultants around the world. Ryan Levesque: Ryan Levesque is an Inc. 5000 company CEO and author of the #1 National Best-Selling book, ASK. Ryan has used the ASK Method to build multimillion dollar businesses in 23 industries, generating over $100 million in sales. Landon Ray: ONTRAPORT Founder and CEO Landon Ray is a serial entrepreneur whose personal mission is to educate, motivate and enable others to realize their goal of starting and growing their own businesses. Lena Requist: ONTRAPORT President Lena Requist was the driving force behind the company’s 5,000% growth, has motivated ONTRApalooza’s aim of having at least 50% female speakers on stage, and was named by Forbes as one of 20 Speakers You Shouldn’t Miss The Opportunity To See. This lineup of incisive keynotes, along with 45 other valuable breakout sessions and hands-on experiences, will take place near the company headquarters in Santa Barbara, California, Oct. 4-6, 2017. To see a full list of speakers click here. For more information and tickets click here. For over a decade, ONTRAPORT has been a leader in marketing and business automation software for small businesses and entrepreneurs. Our mission is to support entrepreneurs in delivering their value to the world by removing the burden of technology, and we deliver on that mission by creating software, offering services, and educating the entrepreneurial community. Learn more at www.ontraport.com. Since 2012, ONTRAPORT has hosted this modern marketing summit to bring together thought leaders across the spectrum of digital marketing and innovative entrepreneurship. The summit serves to foster collaboration and idea sharing between the ONTRAPORT user community, small business owners, marketing professionals, industry leaders, and the ONTRAPORT team. Forbes has called the event “a must-attend conference for entrepreneurs,” and Inc. has mentioned it as one of the “top entrepreneur conferences to check out in 2017.” This year’s conference will feature six keynote speakers, over 45 hands-on sessions, insight into upcoming ONTRAPORT releases, networking opportunities, and much more. The 2017 summit takes place Oct. 4-6 in Santa Barbara, California. Tickets are available at www.ontrapalooza.com.